Every now and then we all need reminders of what youth sports is really all about. Use these core values as that reminder and never forget that youth sports are really about the kids. Every child should have fun. 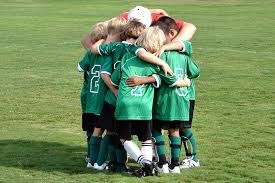 Kids will continue playing if they develop a love for the game, but that love will only grow as they actually enjoy it. Fun is not the enemy of hard work. They can co-exist in youth sports. Every child should learn the value of teamwork. Teamwork is something that your child will need in every area of life as they grow up—family, work, community. Don’t waste this golden opportunity to help them learn it. Team players are the ones who get things done. Every child must learn how to play safely. Whatever sport your child plays, it’s important they learn the rules of safety and wear proper safety equipment. This is also an opportunity to talk to your child about personal safety, such as good touch bad touch. Every child should understand the reward of hard work. Kids need to see that hard work pays off. Why else would they do it? There’s nothing like finally getting a base hit after working hard at the batting cages when struggling through a slump. Every child should learn from failure. No child should be demeaned for making mistakes. Parents and coaches must learn to love unconditionally while teaching kids how to learn and grow from failure. Every child should be challenged to reach their potential. Recognizing that every child’s potential is different, adults in youth sports should help each young athlete stretch out of their comfort zone and grow to be the best they can be. Every child should leave the season a better person and player than they began the season. My husband, coach for 29 years, firmly believed this. He wanted every player to have grown in skills and in their character. If adults would focus on this core value alone, there’s no doubt that the youth sports culture would dramatically shift. Every one of these core values highlights the child athlete. That alone is a mind shift that many adults in youth sports need to make. Can you add any more core values to this list?